Lula Mae Patterson known as “Budda” was born on April 25, 1933 to the late Dan Patterson and Emma Smith Patterson. She departed this life Tuesday, July 3, 2018. Lula received her education at the Hunt Chapel Church in Grand Junction. Lula Professed a hope in Christ at an early age at the Hunt Chapel Church in Grand Junction. 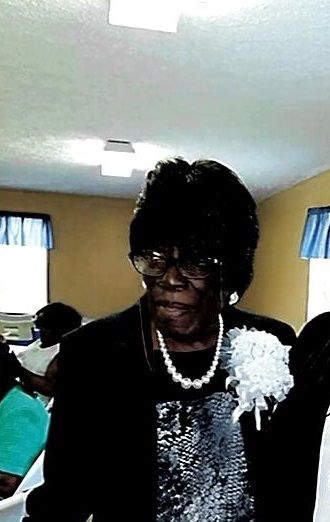 She later joined Hopewell MB Church where she remained a faithful usher until her health failed. Lula was preceded in death by one son: Homer Lee Patterson and one daughter: Emma Lee Patterson. She leaves to cherish her memories: her loving sons: Lee Rose Patterson of Grand Junction, TN and Willie (Evon) Patterson of Bolivar, TN; one daughter: Pauline (Jerry) Lotefield of West Memphis, AR, five sisters: Martha (Clarence) Malone and Sally Patterson of Memphis, TN, Lottie Patterson Baskerville of Williston, WI, Beatrice (Jessie) Buntyn of Crestwood, KY, Essie (Edward) McKinnie of Grand Junction, TN; five brothers: Chillie Patterson of Denver, CO, Lemon-Jessie Patterson, Don (Tonya) Patterson, Roy and Russell Patterson all of Memphis, TN; eleven grandchildren, twelve great grand children, and a host of nieces, nephews, cousins, and friends.